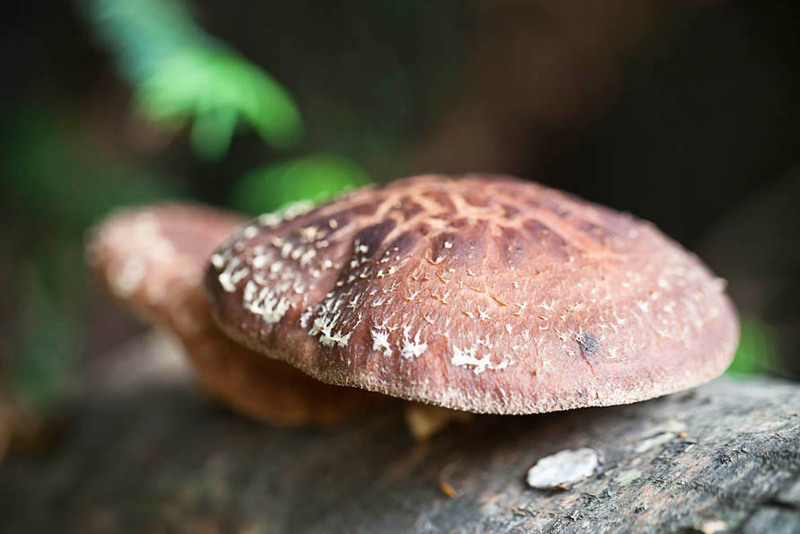 After inoculating the logs last spring, followed by a surprise flush of shiitake mushrooms late last summer, the real test was to see what would happen this spring. I’m very happy to show you how perfectly it worked! The logs survived the winter without drying out. This is our first real flush of mushrooms, after all the spring rain. When a few random mushrooms popped up, I knew it was time to shock a few logs by smacking it on the ground. This stimulates the mycelium inside to start fruiting. The logs sat under the row of apple trees where it is shady and moist, simulating a forest floor. They are kept off the ground to keep them safe from marauding chickens and rabbits. Look how big and thick these mushrooms are. I purposely let them grow as big as possible before the rims started to flare open. 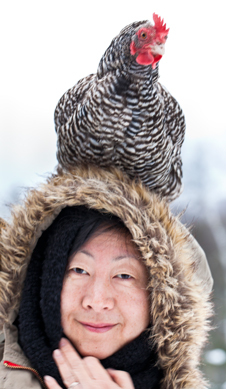 The mushrooms averaged 3-4″ across, and we yield 2 pounds. All week we’ve enjoyed them simply sauteed in butter with garlic, or in omelettes with swiss chard from the basement, and eggs from our backyard hens. 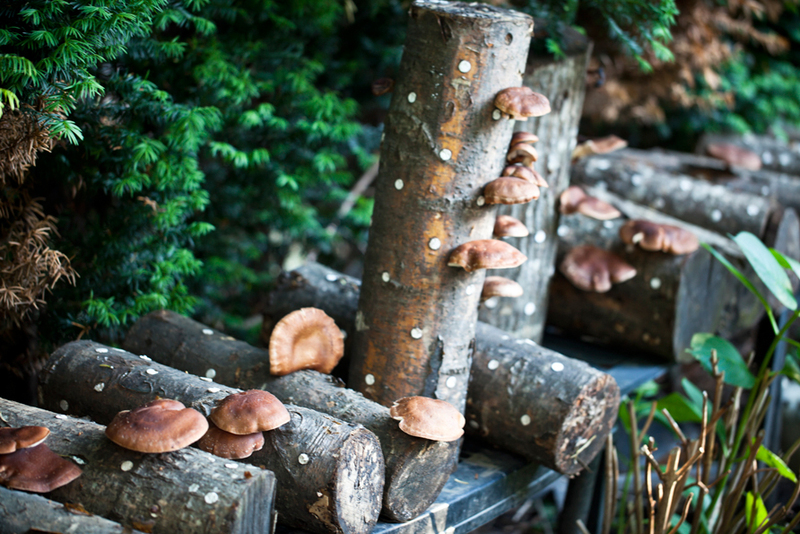 If you love shiitake mushrooms but not the market prices, then you must grow your own. I have been wondering where you were, and what you have been up too. These are gorgeous!! 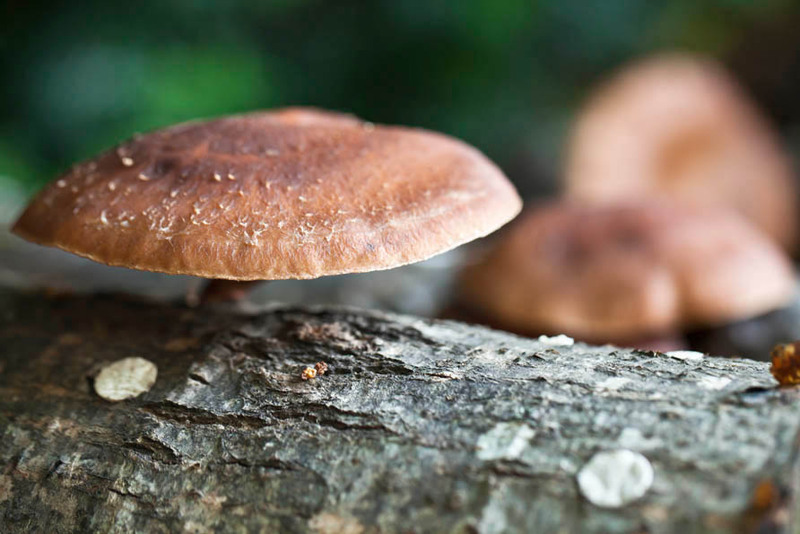 Love that you are growing shiitakes, one of my favorite fungi!